My copy comes with Atlantic Records 40TH Anniversary sticker . Is German pressing but I never see that sticker. 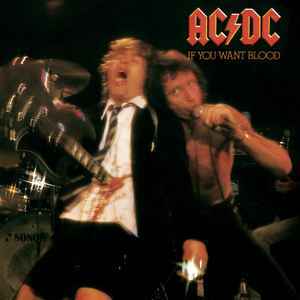 Great album, and the singer Bon Scott was better that anybody! My copy has PROMOTIONAL COPY NOT FOR SALE stamped in gold on front top right corner. Any reviews for this 2009 George Marino-remastered issue? A-B comparisons with earlier issues or even the 2003 Ray Janos-remastered, US reissue? I think I just found one of these, but mine is grey marbled. Beat up, but still plays through. How do I confirm? Same catalog numbers as above.